Photographing weddings back in Canada I would never have dreamt of photographing a wedding alone. However, here in Cancun and the Riviera Maya, photographing wedding on resorts, I photograph 90% of my weddings alone. 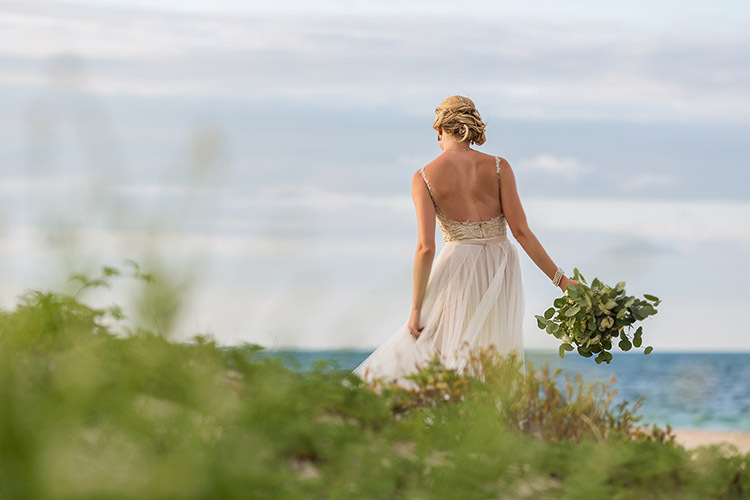 Most of the time we photograph weddings alone due to budget as not only does it cost more to have the second person, often the resorts charge a significant amount to bring the second photographer onto the resort. As a result, we are very comfortable photographing weddings alone here in Cancun and the Riviera Maya. As much as I am a fan of photographing weddings by myself, below are the times when I think it is wise to hire two photographers. Here is when I would suggest having two photographers. When you want LOTs of getting ready photographs. When you have over 50 guests. When you want lots of décor and setup photographs. When the photographer is shooting over 6 hours. When you will be more relaxed knowing there are two photographers. 1) When you want LOTs of getting ready photographs. If you want lots of getting ready photographs and the story of the guys from the time they start of the day up until they get to the ceremony, then it is best to have two photographers. Now it’s very simple to photograph the guys for 30 minutes and then walk 5 minutes across the resort to the girls and photograph them for an hour before the ceremony. 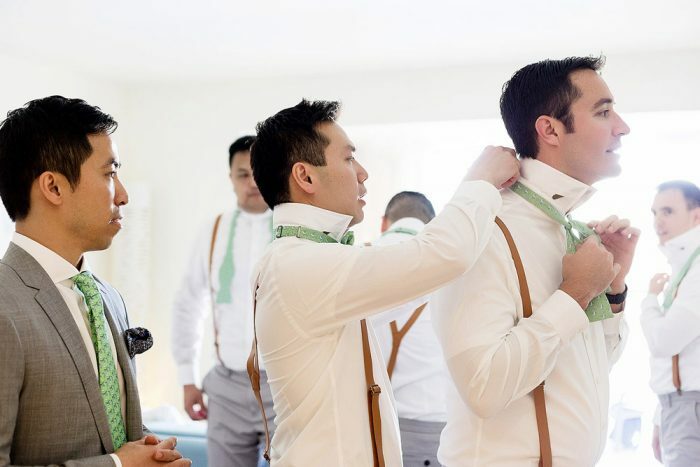 It takes 10-15 minutes for the guys to get ready for a wedding, therefore 30 minutes is more than enough time. Also this leaves them ready about 1 hour before the ceremony, so that they can go grab a drink at the bar together and head the ceremony location 30 minutes before the ceremony and greet guests as they arrive. But again, if you want the story of them photographed from the start of the day up until they ceremony, then it is best if you have two photographers. 2) When you have over 50 guests. When you have a large number of guests attending your destination wedding and you really want to capture them as well as you on your wedding day, then two photographers are better than one. My only word of caution to this is please make sure you mention this to your photographers. As a company, we go out of our way to make sure we get a lot of photographs of the guests, but from what I have seen from other wedding photographers, this is not always the case and they often have tunnel vision on the bride, groom and wedding party. So if this is important to you, please make sure you communicate it to your photographer. Note: If you are working with us, you will get a questionnaire before the wedding that will ask you about the importance of these photographs. 3) When you want lots of décor and setup photographs. If you are having elaborate décor and want great photographs of the detail so that you can share them with wedding blogs and have them for a great wedding album, then it is wise to have two photographers. 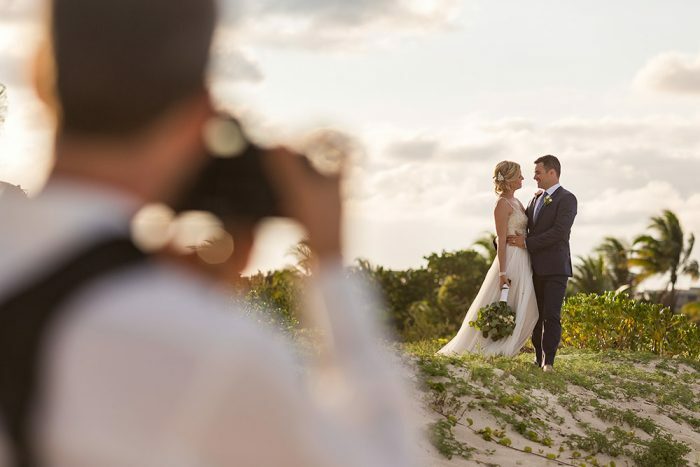 It’s pretty simple, one person can’t do two things at once and weddings here in Cancun and the Riviera Maya happen very quickly and a photographer cannot be photographing you on the beach and be back at the reception location before guests arrive at the same time. So if this is important to you, then please hire two photographers. 4) When the photographer is shooting over 6 hours. It’s not impossible to photograph a wedding for 8 hours alone, but it is very difficult. Staying at full attention for that period of time with very little downtime is difficult for anyone. Therefore, if you have a spread out day and/or want photographs late into the evening, then please consider two photographers once you go past the 6th hour. 5) When you will be more relaxed knowing there are two wedding photographers. If you are going to be more relaxed knowing there are two photographers capturing two different angles, then please hire two photographers. 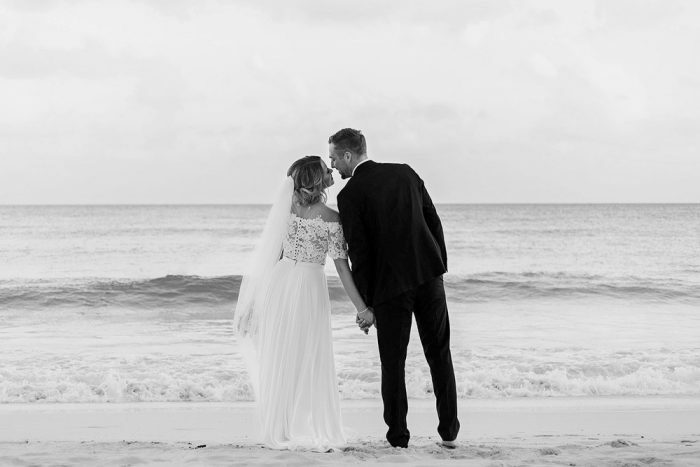 This is your wedding day, you have invested a lot of time, effort and money into getting people to fly to Cancun for your wedding and it is incredibly important that you are relaxed and enjoy your destination wedding. If after reading the above you are worried that one photographer will not be enough, please hire two. Finally, most of our packages come with one photographer, however, you can always add a second photographer at very little cost. Currently, we charge $100 for the first hour and $50/hr thereafter. Please make the decision the decision that is best for you know that we are 100% confident that no matter what you decide, we will get you photographs that you will love. If you have any questions about the above or would like more information, please feel free to email or call us at the studio and we will be more than happy to help. And if you have not inquired about our wedding photography, please do. We would love to hear from you and you the best way to contact us is through our pricing and availability form.